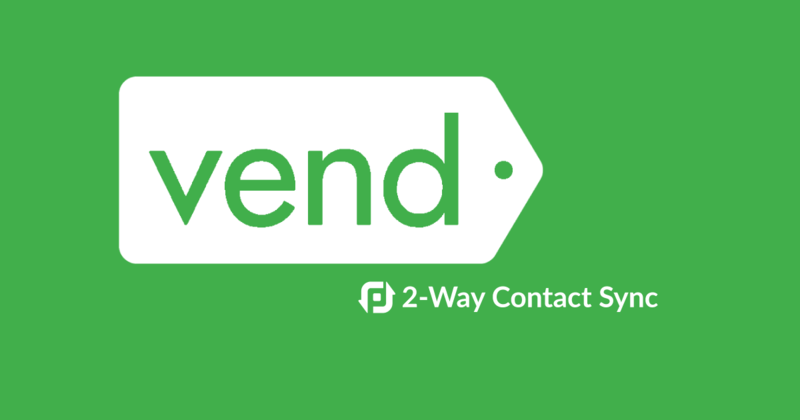 There's a new way to sync your Vend contacts with other business apps! Vend is a Point of Sales System (POS) for retail success that allows you to effortlessly sell, manage, report and grow your retail business. Already 20,000+ stellar retailers of all types and sizes, are using Vend to create the ultimate customer experience, and manage sales, inventory, customers and more. Most apps are not natively integrated. That means you have to work out a way to get contact data from one app to another. A lot of businesses use the time-wasting import/export method or one-way pushes, but your apps are never really up-to-date. PieSync integrates your contacts two-way between your favorite cloud apps in real time. Wich means that if you add or update a contact in one app, you will have it updated automatically in the other one, no matter where you are or who entered the data. You don’t have to manually transfer data EVER again! 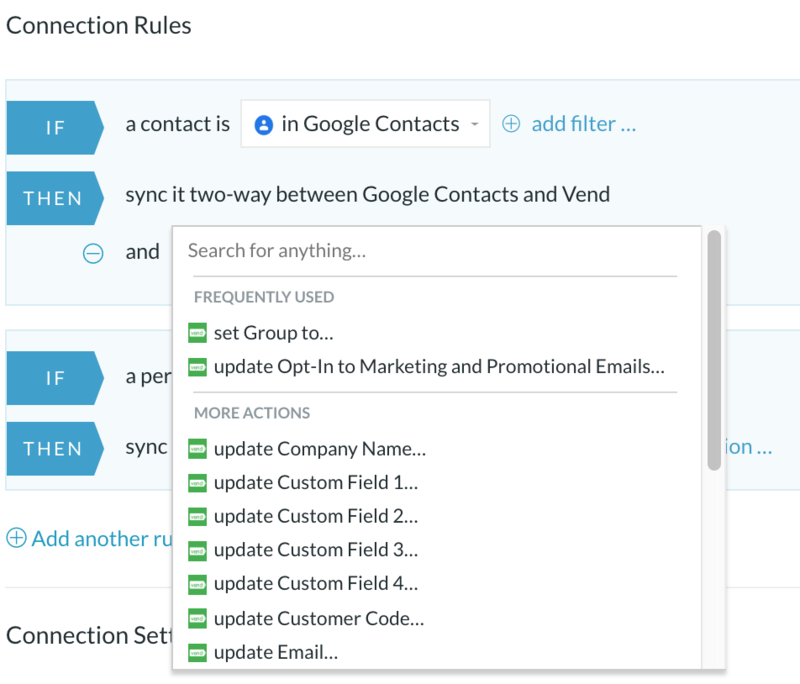 This unique contact sync solution allows you to connect Vend with all types of business tools: CRMs, Marketing Automation tools, Cloud Accounting apps, GSuite, Outlook, iCloud, etc. PieSync’s Intelligent engine is constantly checking for updates in both apps. If there are any changes in one app, you’ll have it automatically up-to-date in the other app in real time. PieSync identifies and syncs the typical fields such as email address, phone number, address, etc. You can also define which field goes where thanks to the Custom Field Mapping option. You can pick how you want to sync by deciding which lists, tags, groups, or categories in each app should be in sync with each other. That way, you can create complex automated workflows. You don’t have to waste hours of your time setting up and configuring your sync. It’s fast and easy, with one step authorizations. The entire syncing solution exists in the cloud. You don’t have to install or download any additional software. You can add your entire team to your PieSync account. This means everyone can access the most up to date data when they need it most. We have multiple plans to suit businesses of all sizes. When your business grows, you can simply upgrade to the next plan. PieSync hates duplicates just as much as you do. We eliminate duplicates by matching contacts based on their email addresses. Need help to configure your connection? You can always visit our Support Center to get extra information about this connection. Claudia helps the Marketing and Communications team to let our clients know what’s going on in PieSync by creating great content and managing our Social Media. She flew all the way from Venezuela to work with us. This retired surfer is full of energy and creativity.